A new version of this API is coming soon! Want to make a solution for resale? 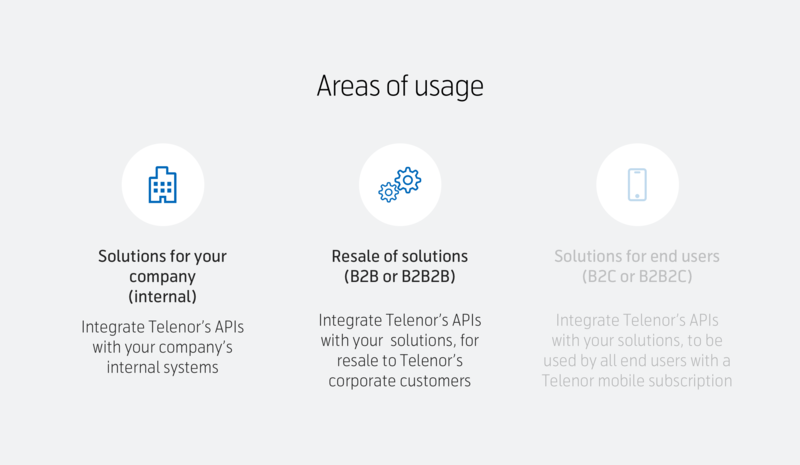 Using our Vendor APIs you can develop solutions for resale to customers, letting them manage mobile subscriptions and other services from Telenor, in their own systems. 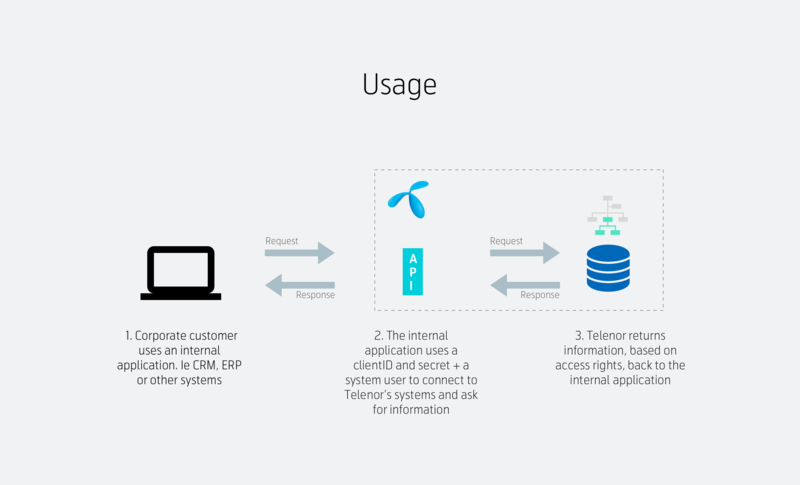 Your customers will need a Connect product, made for your solution, from Telenor to access their own data. Please contact us for more information on how to make a Connect product.